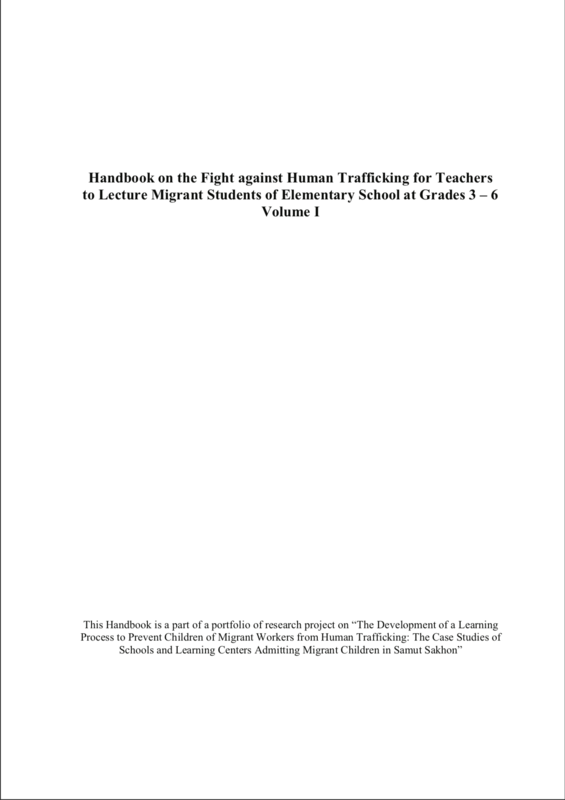 Handbook on the Fight against Human Trafficking for Teachers to Lecture Migrant Students of Elementary School at Grades 3-6 is produced to issue guidance for teachers to teach migrant students. This handbook is encapsulated comprehensive information on 1. 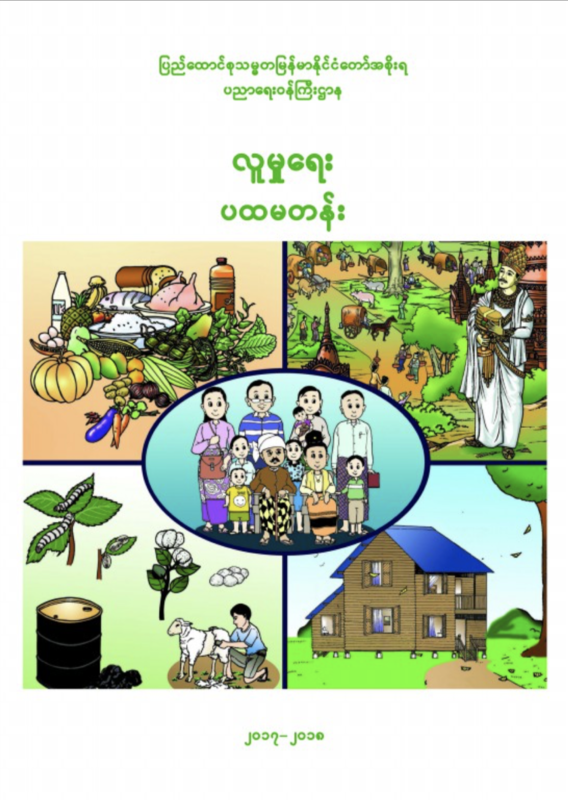 Learning and understanding the living conditions of migrant students, 2. 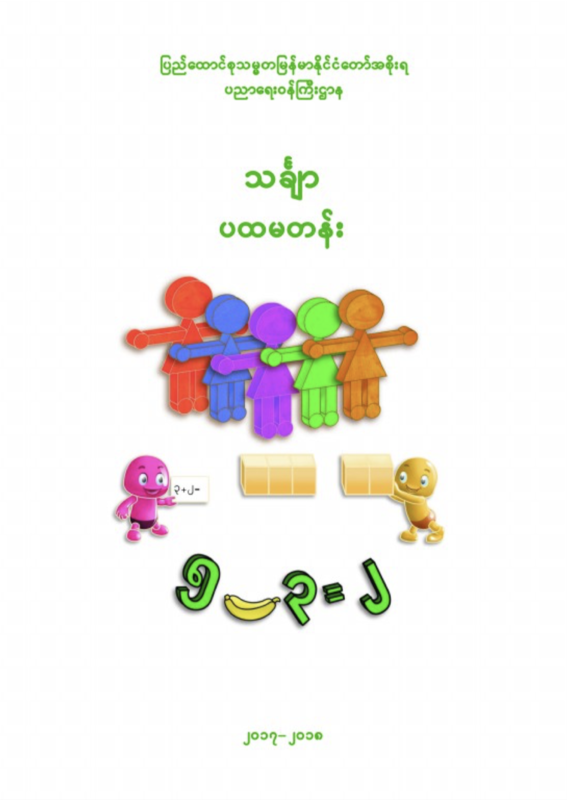 Testing migrant students to understand situation of migrant workers, 3. Learning the definition of “Human Trafficking”, 4. 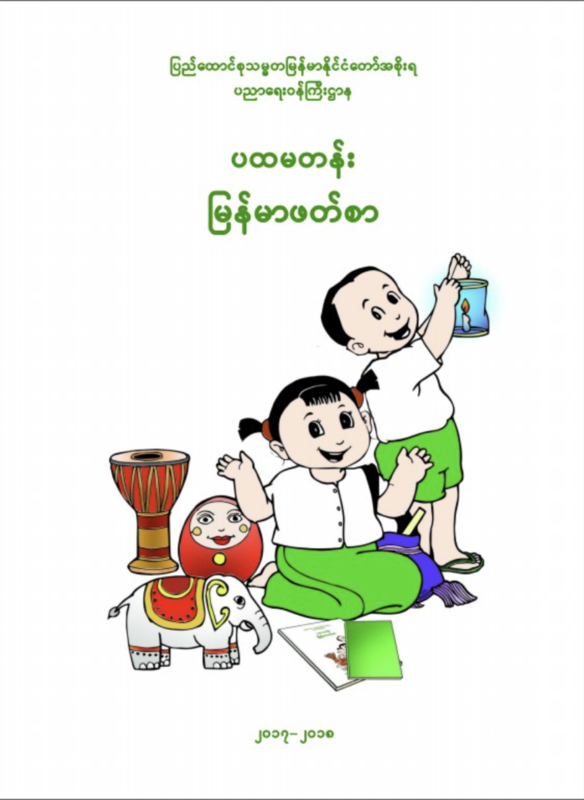 Storytelling to raise awareness of human trafficking in migrant children, and 5. Learning from experience of human traffickers and human trafficking victims.คู่มือว่าด้วยการต่อต้านการค้ามนุษย์สำหรับคุณครูเพื่อใช้สอนเด็กนักเรียนต่างด้าว ระดับประถมศึกษาปี่ที่ 3-6 เล่มที่ 1 ฉบับนี้ จัดทำขึ้นเพื่อเป็นแนวทางสำหรับคุณครูในการสอนนักเรียนต่างด้าว ประกอบด้วยเนื้อหาครอบคลุมเกี่ยวกับการเรียนรู้และเข้าใจความคิดเห็นเกี่ยวกับความเป็นอยู่ของนักเรียนต่างด้าว การทดสอบความรู้ของเด็กนักเรียนต่างด้าวเกี่ยวกับสถานการณ์ของคนต่างด้าว การเรียนรู้คำนิยามเกี่ยวกับ “การค้ามนุษย์” นิทานเพื่อสร้างความตระหนักในลักษณะการค้ามนุษย์ให้แก่นักเรียนต่างด้าว และการเรียนรู้จากประสบการณ์จริงจากผู้กระทำความผิดและเหยื่อการค้ามนุษย์Handbook on the Fight against Human Trafficking for Teachers to Lecture Migrant Students of Elementary School at Grades 3-6 is produced to issue guidance for teachers to teach migrant students. This handbook is encapsulated comprehensive information on 1. 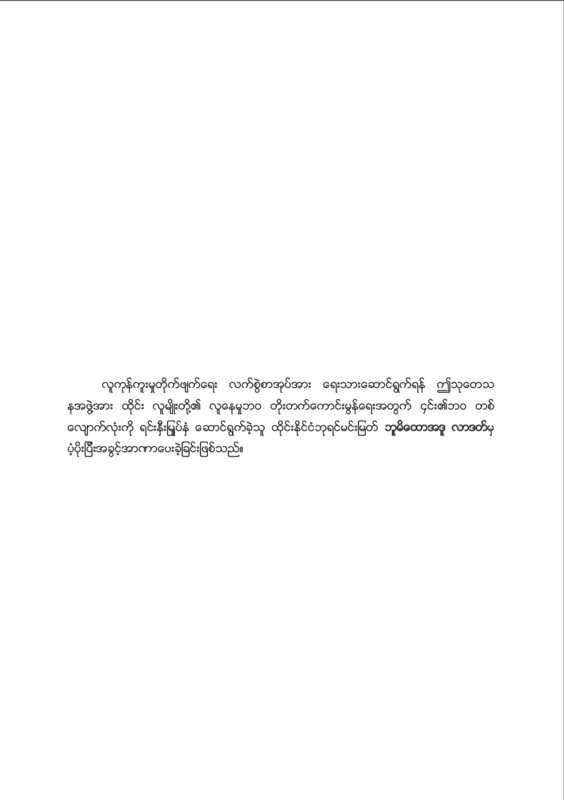 Learning and understanding the living conditions of migrant students, 2. 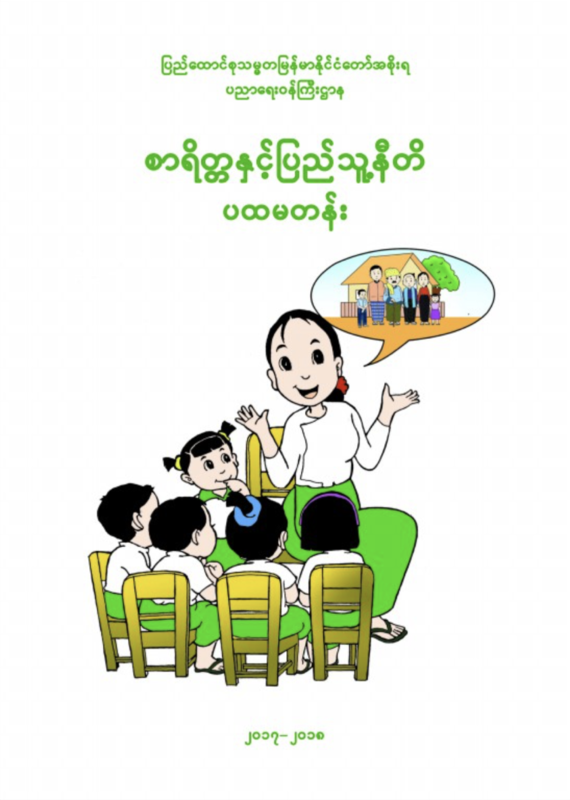 Testing migrant students to understand situation of migrant workers, 3. Learning the definition of “Human Trafficking”, 4. 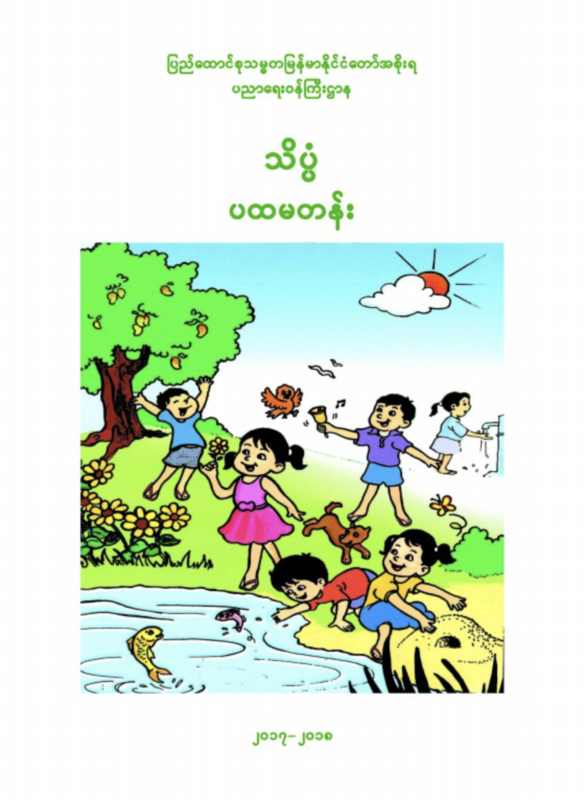 Storytelling to raise awareness of human trafficking in migrant children, and 5. Learning from experience of human traffickers and human trafficking victims. 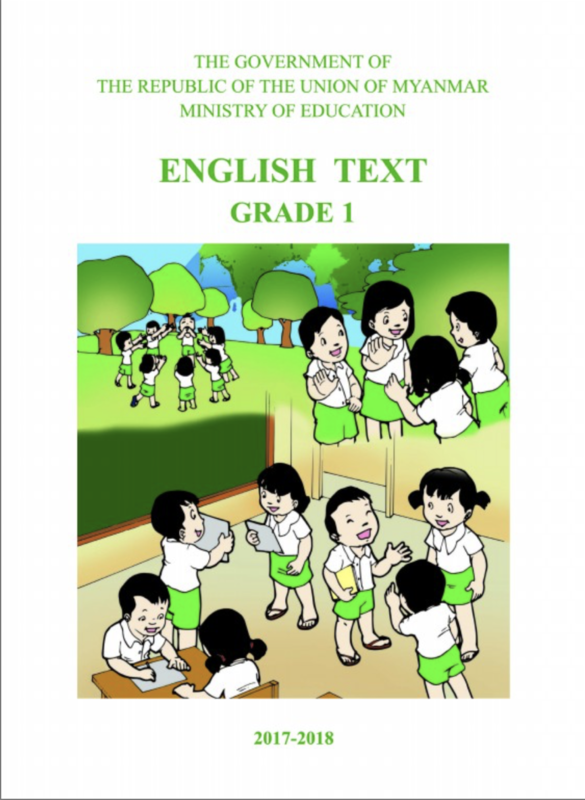 Non-Formal Primary Education Level 1 Volume 1 is student worksheet and teacher guide.แบบเรียนกศน.เมียนมา ระดับที่ 1 เล่ม 1 แบบเรียนสำหรับนักเรียนและคู่มือครูNon-Formal Primary Education Level 1 Volume 1 is student worksheet and teacher guide.